Volvo has been serving the diplomat, expat and military community since the mid-1950s and has sold hundreds of thousands of Volvos to these customer groups. Luigi Pelosi sr. was one of the first exclusive military dealers in Germany, establishing his business in the 1960s. 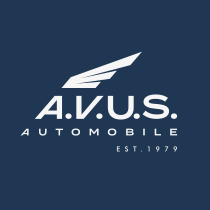 A.V.U.S.-Automobile was founded in 1979 by Luigi Pelosi jr. in Hanau, Germany – one of the largest U.S. military garrisons in Europe at that time. We have been an authorized factory agent for Volvo Diplomat, Military and Expat sales until the program was restructured in 2019 and the responsibility for the program was delegated to the Volvo’s national sales companies. After 40 years of impeccable service to its clients, A.V.U.S.-Automobile now sells premium European cars in cooperation with the local official Volvo Car Germany dealerships. We exclusively manage the diplomat / military program for Auto Amthauer in Hanau (Frankfurt Rhine-Main Metropolitan Region) as well as Autohaus Geisser in Heidelberg / Mannheim (Rhine-Neckar Metropolitan Region) and Karlsruhe. Safety has been Volvo’s guiding star since 1927. The Volvo founders stated that “Safety is and must be the basic principle in all design work”. We work hard to stay at the forefront of the industry by taking an overall approach to safety, which has proven effective in real traffic situations. Developing crash-safe cars is a given. Volvo Cars is also a leader in the field of active safety with solutions such as the pedestrian detection with full auto brake and City Safety. Our environmental strategy encompasses the car’s environmental impact throughout its life cycle – from development, use and service to recycling when the car is scrapped. Greatest focus is on the actual use of the car, since that affects the environment the most. Everything we do starts with people. We believe that a car should be designed to suit the driver, not the other way around. Our Scandinavian heritage is highly important to us. The classic values of Scandinavian design such as simplicity, functionality and durability have been cornerstones of our designs for a long time. Volvo – designed around you! Quality is simply a fundamental principle for everything we do at Volvo Cars. We have a long history of reliability and a commitment to quality and customer satisfaction. The objective is clear: Volvo Cars shall achieve top level customer satisfaction with premium products and services with an excellent quality culture consisting of pride and passion with focus on customer needs. As a human-centric company, Volvo Cars is brand for people who care about other people and the world in which we live. Volvo Cars is a proud founding member of the UN Global Compact, a voluntary initiative to implement universal sustainability principles. Volvo Cars is proud to have been recognised as a 2019 World’s Most Ethical Company® by the Ethisphere Institute for the third consecutive year. Ethisphere institute is a global leader in defining and advancing the standards of ethical business practices. This is a welcome acknowledgement of our comprehensive Compliance and Ethics Programme which aims to ensure that our employees and our business partners act responsibly and ethically. Volvo Cars is committed to fostering a culture of Ethical Leadership. At Volvo Cars, it’s not just about what we do, but how we do it. Consideration for others is paramount and our strict Code of Conduct ensures that we conduct business in an ethical and responsible way. Everyone working at, or with, Volvo Cars should be comfortable raising questions or concerns about ethical issues or cases of non-compliance. We support a culture of openness, integrity and accountability. If you want to report a violation of our Code of Conduct, you can submit a report.